Welcome! Great to have you with us this morning. God has brought us together to speak to us through his word, encourage us through each other, and renew us by his Spirit. 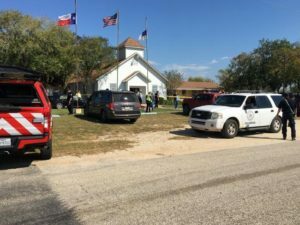 It was horrible to hear this week of the church massacre in Sutherland Springs, Texas. A man walks into a church with an assault rifle. What he leaves behind is carnage. Carnage for the first responders, carnage for the families, friends and remaining members of the church, carnage for the whole town. Previously, a town largely unknown. Now tarred with notoriety. Now carrying an unthinkable burden. These are the words of God through his prophet Amos, calling for what he wants: justice and righteousness. What could those mean for us, as we reflect on the events of this week? They’re both tightly connected of course. Justice is that idea of administering fairness. What happened in Texas was catastrophically unfair. To put right this level of unfairness is beyond human capability. How can any person restore what has been taken? God is also the only one who can truly bring comfort upon the bereaved. Those who put their faith in Jesus can believe confidently that God will put things right. That is, after all, what righteousness is: things being right, just and fair. Righteousness is the promise of the New Creation, inaugurated through the only perfectly righteous human: Jesus. As we think about God’s involvement in the world, it is easy to think that he mustn’t really care about righteousness and justice, especially if he let’s this sort of thing happen in a church. But let’s remember that he too mourned the loss of a murdered son. He knows the pain. But he didn’t look on in helpless confusion as we do. He raised Jesus to life, and promises us the same glory if we turn to him in faith. Previous PostCan we understand the Bible as a whole?Next PostAdvent: do you feel it?